What will it be like when humans are living and working in space? Ordinary folk, like those who live down your street? Blue Collar Space by Martin Shoemaker offers one vision. It is a collection of short science fiction stories set on the moon and Mars, and Jupiter orbit. The settings are exotic. The jobs are ordinary. EMTs, sanitation workers, teachers, doctors, factory workers and miners feature in these stories. 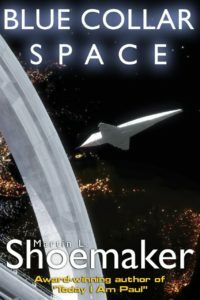 A few stories fall into the category of space adventure. “Not Close Enough” deals with a first manned mission to Mars — sort of a first manned mission to Mars. The explorers from NASA, ESA, Roscosmos, JAXA, and space agencies from India, Australia and China are not allowed closer to Mars’ surface than Martian orbit. There is a sort of spy adventure in the short story “Black Orbit,” with smugglers and secret agents. Forty-nine years ago today, Apollo 11 began its trip to the Moon. It was my 14th birthday, and the liftoff was the biggest, best candle any 14-year-old could have. It was not the first time men had visited the Moon. Two previous Apollo missions had carried six other men to lunar orbit. It would be the mission where humans would walk for the first time on another planetary body. Today, rocket science commonly refers to anything dealing with space. Originally, it meant rocket design, especially fuel development. “Ignition! 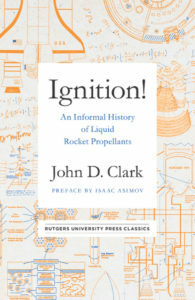 : An Informal History of Liquid Propellants,” by John D. Clark, harks back to those day. While informal, it is a comprehensive account of rocket fuel development. John Walker is a member of Ricochet. Here is Elon Musk’s presentation at the International Astronautical Congress (IAC) in Adelaide, Australia. He describes a revised version of the interplanetary transport architecture he presented at last year’s IAC. The vehicle has been downsized, but the largest innovation is that he now believes it can be funded by SpaceX’s ongoing operations by replacing its existing launchers and spacecraft with the new, fully reusable system. 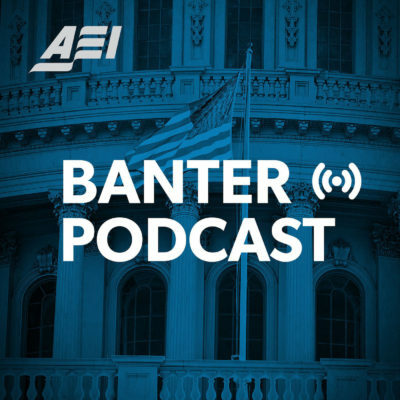 This week on Banter, John Yoo and Jeremy Rabkin joined the show to discuss their new book, “Striking Power: How Cyber, Robots, and Space Weapons Change the Rules for War.” Yoo is a visiting scholar at AEI and Emanuel S. Heller Professor of Law at the University of California, Berkeley. Rabkin is a law professor at George Mason University and serves on the board of directors of the US Institute of Peace, AEI’s Board of Academic Advisers, and the board of directors of the Center for Individual Rights. They hosted a book launch event at AEI to discuss the use of new military technologies such as drones, autonomous robots, and cyber weapons. The link below will take you to the full event video. March 17th is the 59th anniversary of the successful launch of Vanguard 1. It was the second satellite put into orbit by America and the fourth satellite overall (the first two were Soviet satellites). The Vanguard 1 satellite was designed by my Dad. In 1950, a famous meeting in Jim Van Allen’s house eventually led to declaration of the International Geophysical Year (IGY) from 7/1/57-12/31/58. This built on the polar years of 1882-3 and 1932-3. These 18 months were expected to be a solar maximum and various research projects were pursued. In 1955, both the US and the Soviet Union announced that they would launch a satellite during the IGY. The Eisenhower administration established the Stewart Committee, led by Homer J. Stewart of the Jet Propulsion Lab, to decide who would receive funding for the American satellite program. All three services made proposals, but the Air Force was focused on developing the Atlas ICBM and did not make a serious effort. The Atlas project was led Karel (Charley) Bossart who later become a family friend. On April 12, 1981, coincidentally exactly twenty years after Yuri Gagarin became the first man to orbit the Earth in Vostok 1, the United States launched one of the most ambitious and risky manned space flights ever attempted. The flight of Space Shuttle Orbiter Columbia on its first mission, STS-1, would be the first time a manned spacecraft was launched with a crew on its first flight. (All earlier spacecraft were tested in unmanned flights before putting a crew at risk.) It would also be the first manned spacecraft to be powered by solid rocket boosters which, once lit, could not be shut down but had to be allowed to burn out. In addition, it would be the first flight test of the new Space Shuttle Main Engines, the most advanced and high performance rocket engines ever built, which had a record of exploding when tested on the ground. The shuttle would be the first space vehicle to fly back from space using wings and control surfaces to steer to a pinpoint landing. Instead of a one-shot ablative heat shield, the shuttle was covered by fragile silica tiles and reinforced carbon-carbon composite to protect its aluminium structure from reentry heating which, without thermal protection, would melt it in seconds. When returning to Earth, the shuttle would have to maneuver in a hypersonic flight regime in which no vehicle had ever flown before, then transition to supersonic and finally subsonic flight before landing. The crew would not control the shuttle directly, but fly it through redundant flight control computers which had never been tested in flight. Although the orbiter was equipped with ejection seats for the first four test flights, they could only be used in a small part of the flight envelope: for most of the mission everything simply had to work correctly for the ship and crew to return safely. Main engine start—ignition of the solid rocket boosters—and liftoff! Even before the goal of landing on the Moon had been accomplished, it was apparent to NASA management that no national consensus existed to continue funding a manned space program at the level of Apollo. Indeed, in 1966, NASA’s budget reached a peak which, as a fraction of the federal budget, has never been equalled. 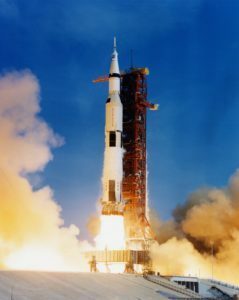 The Saturn V rocket was ideal for lunar landing missions, but expended each mission, was so expensive to build and operate as to be unaffordable for suggested follow-on missions. After building fifteen Saturn V flight vehicles, only thirteen of which ever flew, Saturn V production was curtailed. With the realisation that the “cost is no object” days of Apollo were at an end, NASA turned its priorities to reducing the cost of space flight, and returned to a concept envisioned by Wernher von Braun in the 1950s: a reusable space ship. In the early decades of the 20th century, when visionaries such as Konstantin Tsiolkovsky, Hermann Oberth, and Robert H. Goddard started to think seriously about how space travel might be accomplished, most of the focus was on how rockets might be designed and built which would enable their payloads to be accelerated to reach the extreme altitude and velocity required for long-distance ballistic or orbital flight. This is a daunting problem. The Earth has a deep gravity well: so deep that to place a satellite in a low orbit around it, you must not only lift the satellite from the Earth’s surface to the desired orbital altitude (which isn’t particularly difficult), but also impart sufficient velocity to it so that it does not fall back but, instead, orbits the planet. It’s the speed that makes it so difficult. Billionaires … In … Space! 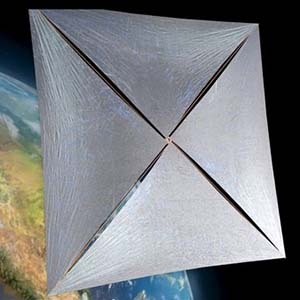 A rendering of the “nanocraft” that would be sent as part of Breakthrough Starshot. The lightsail is about a meter wide. The starchip is the little dot in the center. A Russian oligarch, Mark Zuckerberg, and Stephen Hawking walk into a bar… No this isn’t a joke, but a pretty cool space proposal. Their idea is to launch a fleet of laser-propelled “nanocrafts” that would swarm to the nearest star, Alpha Centauri, in a 20-year voyage. It would take about four more years for the mini-probes to transmit photos and readings back to earth. This authoritative history chronicles one of the most bizarre episodes of the Cold War. 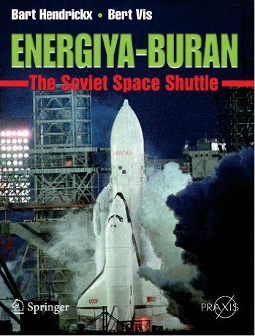 When the US Space Shuttle program was launched in 1972, the Soviets, unlike the majority of journalists and space advocates in the West who were bamboozled by NASA’s propaganda, couldn’t make any sense of the economic justification for the program. They crunched the numbers, and they just didn’t work—the flight rates, cost per mission, and most of the other numbers were obviously not achievable. So, did the Soviets chuckle at this latest folly of the capitalist, imperialist aggressors and continue on their own time-proven path of mass-produced low-technology expendable boosters? Well, of course not! They figured that even if their wisest double-domed analysts were unable to discern the justification for the massive expenditures NASA had budgeted for the Shuttle, there must be some covert military reason for its existence to which they hadn’t yet twigged, and hence they couldn’t tolerate a shuttle gap and consequently had to build their own, however pointless it looked on the surface. Today is the 30th anniversary of the Challenger Disaster, in which we lost an entire Space Shuttle crew during launch. It’s getting plenty of media attention, and for perfectly good reasons: It was the worst space-related disaster to that point (it’s now tied for that honor with the loss of Columbia) and it happened on live TV. But there are two other space-related anniversaries this week that deserve attention. The first is happened only a few days before Challenger, when Voyager II made its closest approach to the planet Uranus. 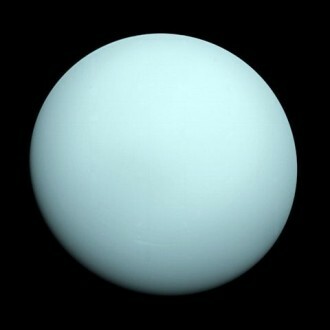 This 5.5-hour flyby was humanity’s first good look at what we now call an “ice giant” planet. In some ways, it was disappointing: Uranus was rather featureless at the time and — beyond discovering a few new moons — we didn’t find too many surprises (Neptune and its system would turn out to be much more interesting… and beautiful). Regardless, it was both an impressive technical achievement and a fascinating philosophical one: Up to that point, we’d been learning about things that had been studied and dreamed about since antiquity; with Uranus we were exploring something wholly modern that had only existed in our imaginations for a scant two centuries. 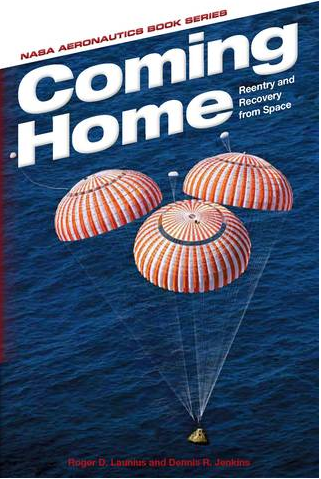 In the companion volume, Rocket Ranch , the author describes the gargantuan and extraordinarily complex infrastructure which was built at the Kennedy Space Center (KSC) in Florida to assemble, check out, and launch the Apollo missions to the Moon and the Skylab space station. 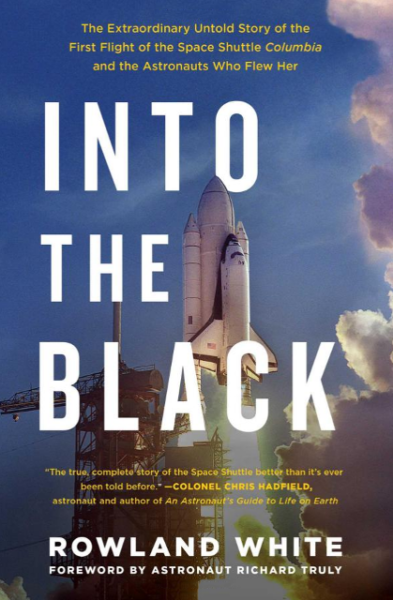 The present book explores how that hardware was actually used, following the “processing flow” of the Apollo 11 launch vehicle and spacecraft from the arrival of components at KSC to the moment of launch. As intricate as the hardware was, it wouldn’t have worked, nor would it have been possible to launch flawless mission after flawless mission on time had it not been for the management tools employed to coordinate every detail of processing. Central to this was PERT (Program Evaluation and Review Technique), a methodology developed by the U.S. Navy in the 1950s to manage the Polaris submarine and missile systems. PERT breaks down the progress of a project into milestones connected by activities into a graph of dependencies. Each activity has an estimated time to completion. A milestone might be, say, the installation of the guidance system into a launch vehicle. That milestone would depend upon the assembly of the components of the guidance system (gyroscopes, sensors, electronics, structure, etc. ), each of which would depend upon their own components. Downstream, integrated test of the launch vehicle would depend upon the installation of the guidance system. Many activities proceed in parallel and only come together when a milestone has them as its mutual dependencies. For example, the processing and installation of rocket engines is completely independent of work on the guidance system until they join at a milestone where an engine steering test is performed.